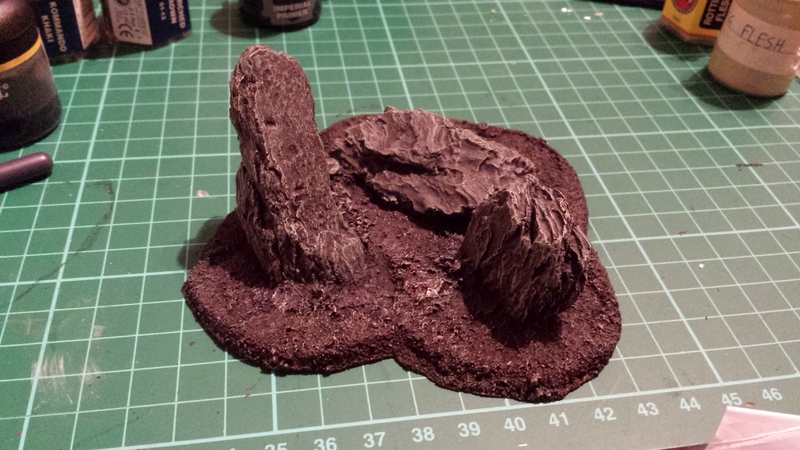 Recently started on some terrain to go with the ‘Altar of Evil’ from Pegasus hobbies. It’s a nice item and I wanted to have a few pieces to go around it so it becomes a centrepiece for a Chaos inspired battlefield. 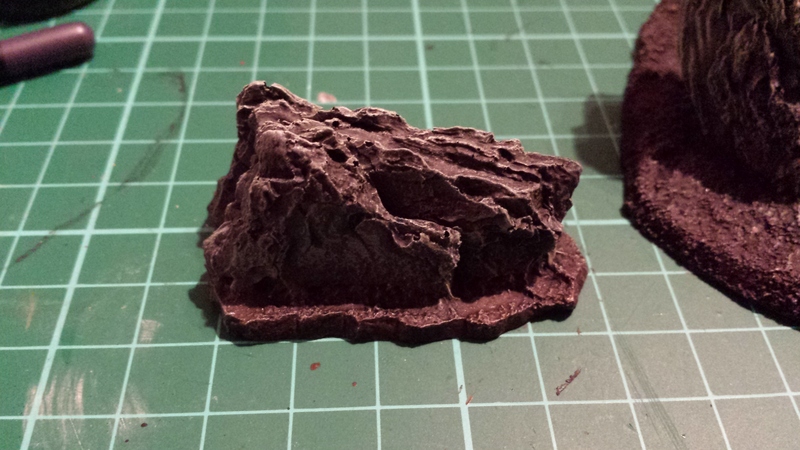 Happily I have around a number of items I got from TSS (Total System Scenic) in the form of rock formations. The look I’m after is one of desolation. I want the area to look as though the very ground itself has been scorched around the temple, either for ritual or from battle (or just because the chaos worshippers like burning things). 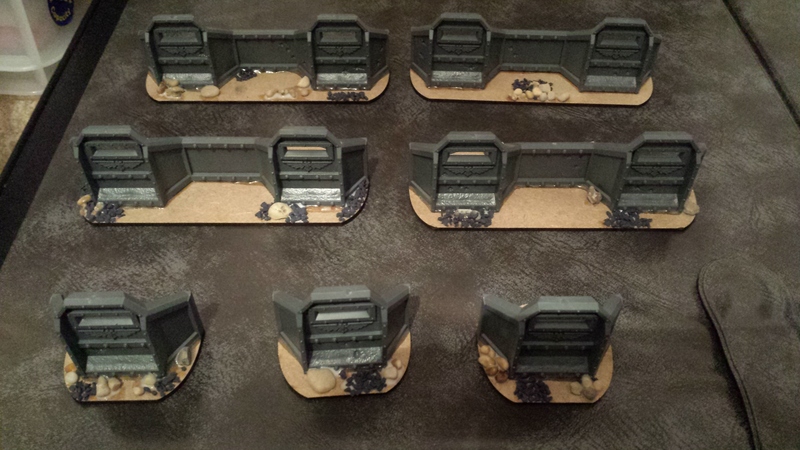 These should give me the desolate look I’m after. 1) They start like this. Standard hard white/yellow resin. This is good quality stuff and generally pretty nice to work with. 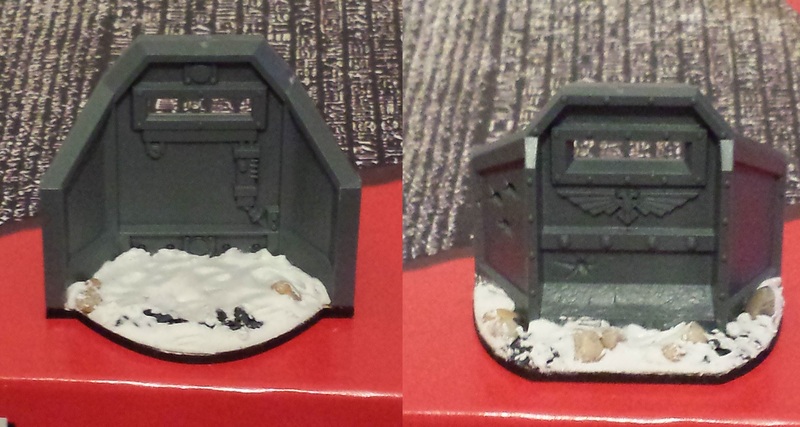 2) Spray them with Games Workshop Chaos black primer (or whichever primer you prefer).Touch up where the spray didn’t get into properly. The jagged rocks have plenty of underhangs and overhangs which can be difficult to get the spray into. 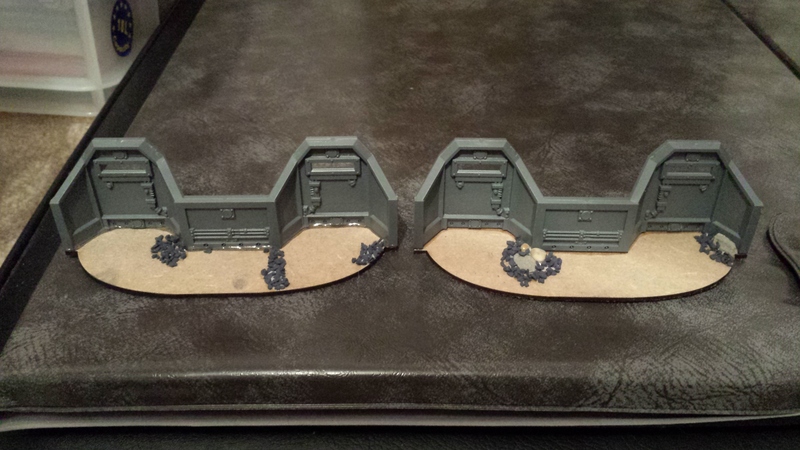 I used the GW technical primer for this. 3) Once that stage was all dry I moved onto the main stages. 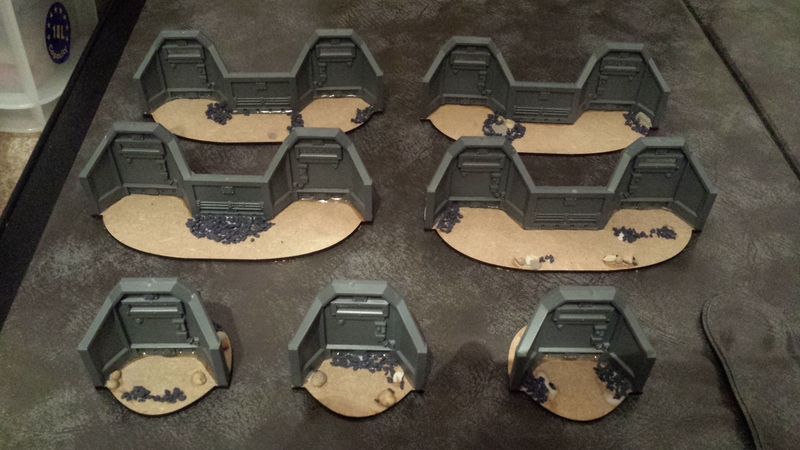 The first of these is to paint all the earthen areas brown. 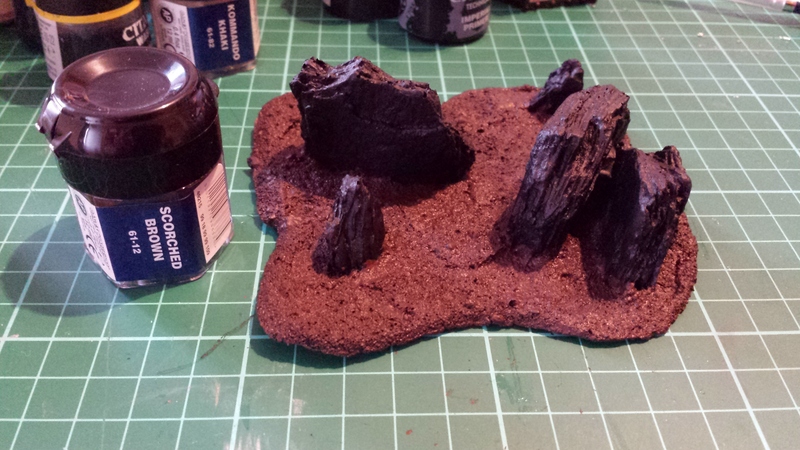 For this I used GW Scorched Brown, undiluted. 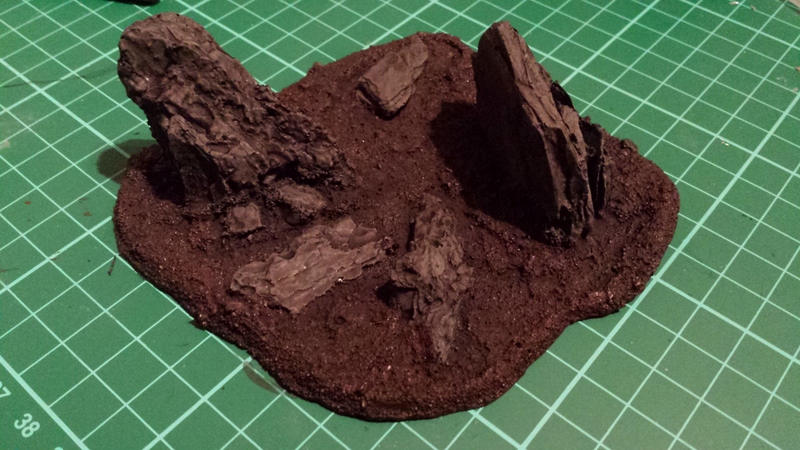 4) Next stage was to basecoat the rocks themselves. For this I used Panzer Grey. 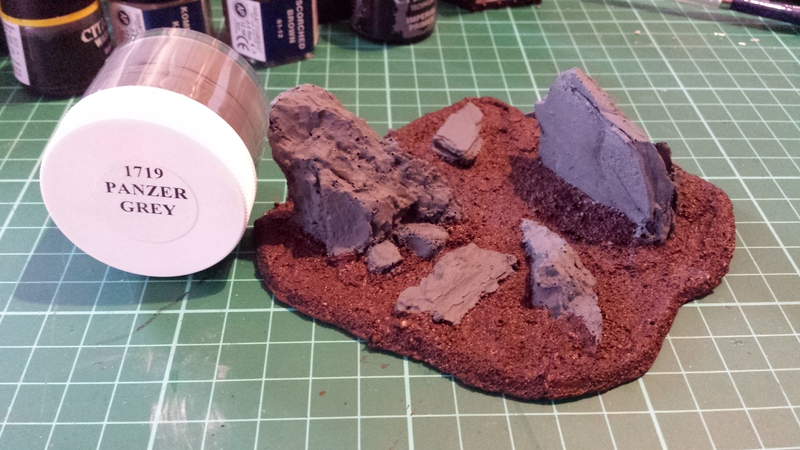 I’ve had this pot of paint for a while and had to ‘rescue’ it once after it partially dried out (more on that another time), so it’s only really useful for terrain painting now but as you can see, it does the job. 5) Next stage is to darken it all down. 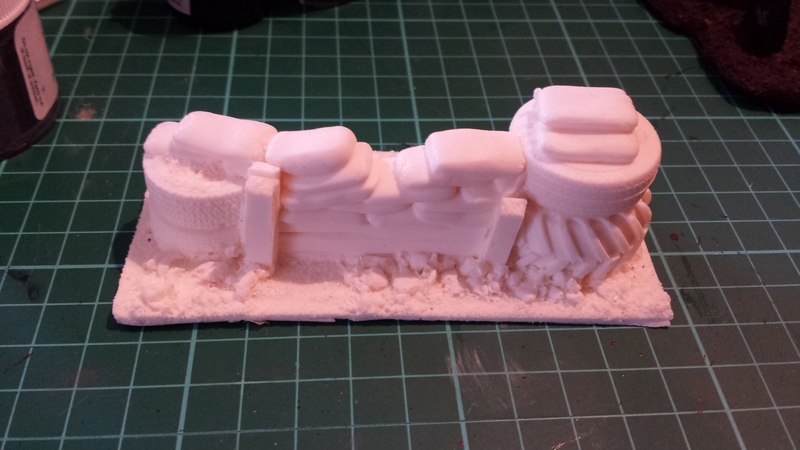 I want it to look properly scorched and blend in with the main altar. 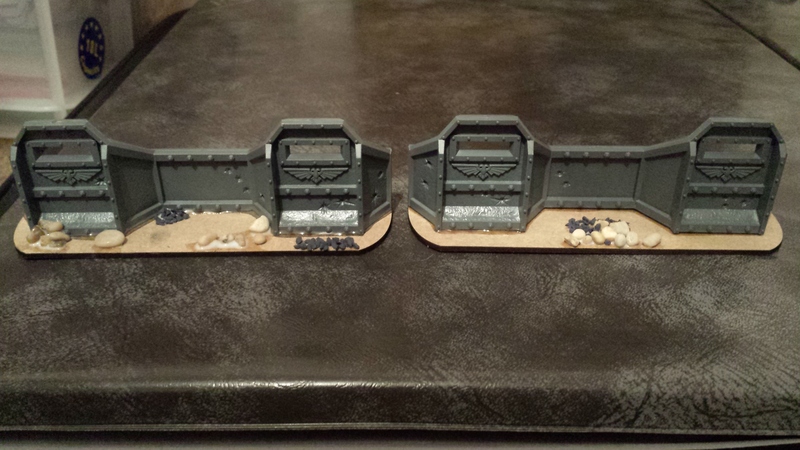 For this gave each piece a full ‘heavy’ wash of GW Badab Black. I should point out that when I say ‘heavy’, I don’t mean a nice little shading with a wash brush….basically we’re drowning it! 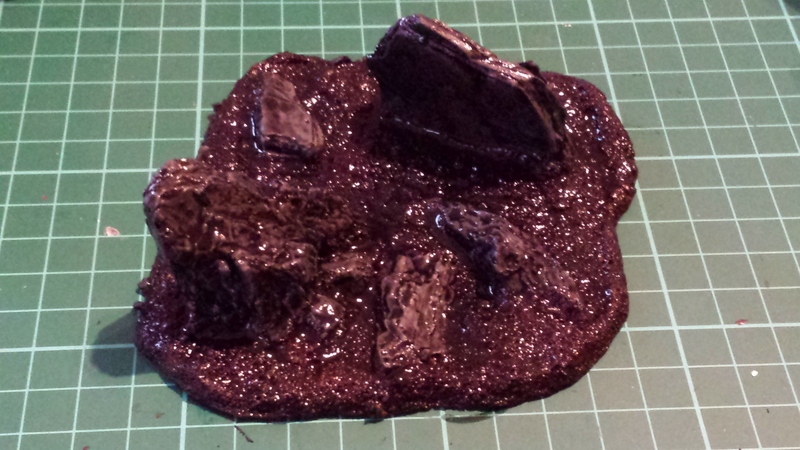 This does use a hell of a lot of Badab Black, but I had several pots lying round which needed finishing up. 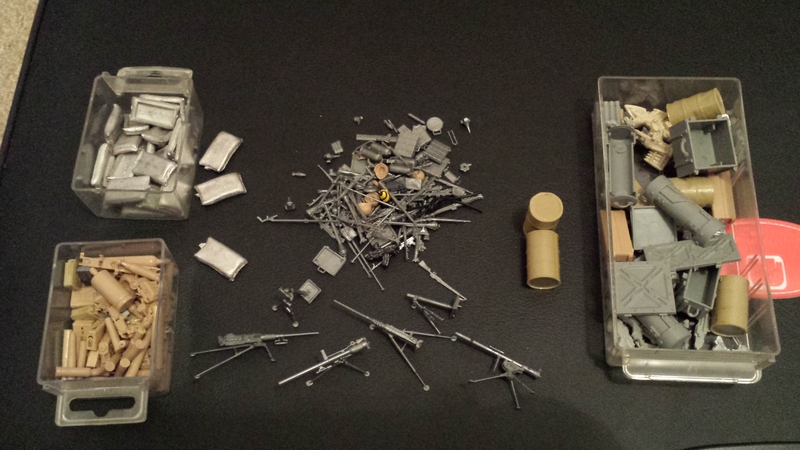 If you don’t want to use GW washes then I’d suggest getting some Chaos Black or Tamiya Nato Black and diluting it. 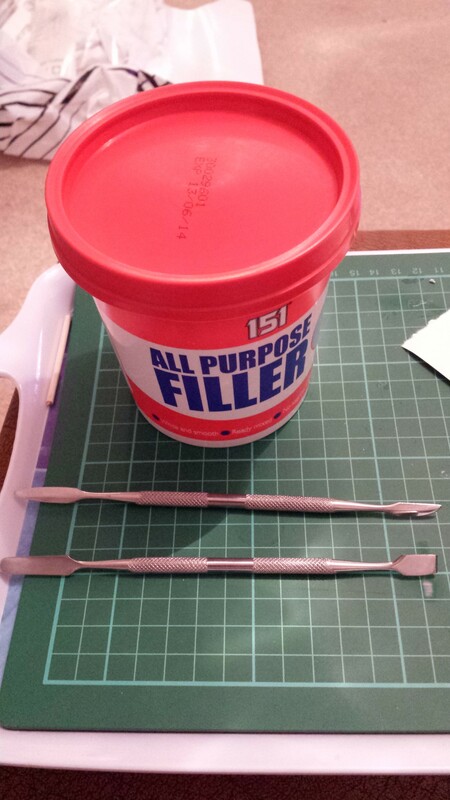 6) Now wait for it to dry…for a long time! 7) After a quick dry brush of GW Rotting Flesh things start to look better. 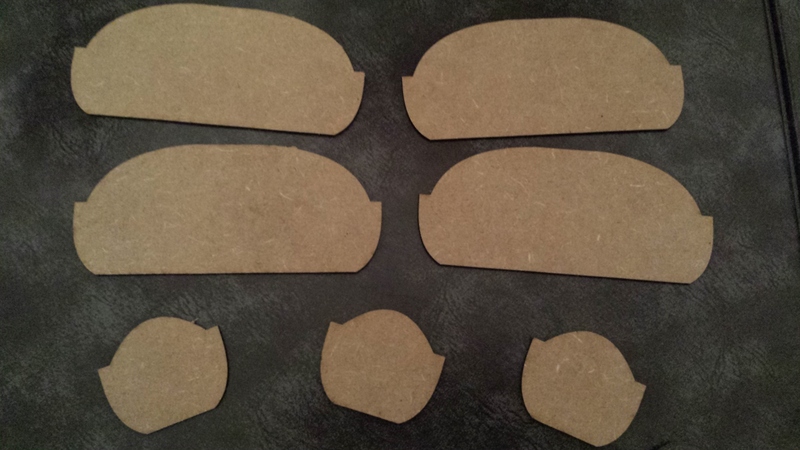 Even at this stage the results are pretty favourable and perfectly usable on the table. 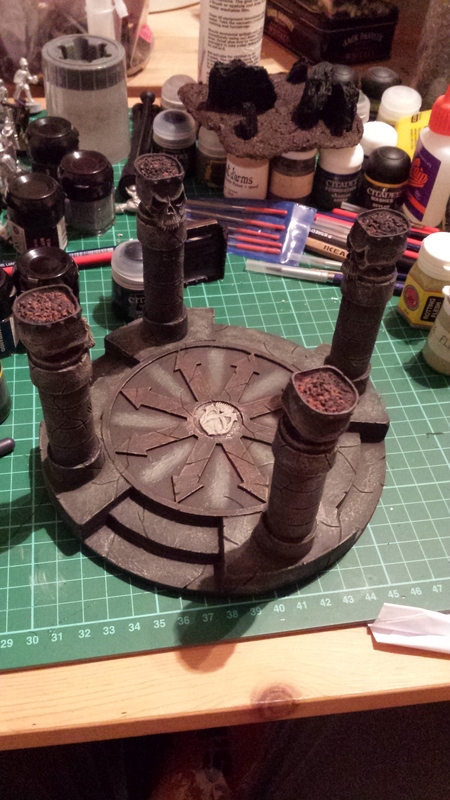 I need to play about with the final coats as I want it blend in with the altar, but also retain the dark feel. I’ll post again once I figure it out.